How do you turn managers into extraordinary leaders? Grow your People, Productivity, and Profits. Leaders and management teams in business are working to thrive amidst economic uncertainty, crime, and increased decentralization of information. Set this off against an increased centralization of political power and add to that environmental change, cultural disintegration and globalization. Then it is no wonder managers and leaders are in constant crisis management mode. Playing Mantis could help you understand, harness and wield the forces of change itself so that your efforts could be coordinated, designed and sustained as opposed to reactive, haphazard and short lived. Help people deal with change in a positive manner. Get buy-in and positive participation of your employees towards specific objectives and goals. Build their confidence, loyalty and sense of responsibility. Quickly resolve conflict between people and teams. Reduce anxietyand stress and increase teamwork and creative problem solving. Make confident decisions and stick to them amidst change and uncertainty. Balance the efficient management of the business and leading your people with passion and vision. Playing Mantis offers six management training modules that can be combined in different ways depending on your needs, budget and time constraints. Each module is 3 to 4 hours long and costs between 6 and 9 thousand rand depending on group size and level of customization required. Your company’s culture in relation to these perspectives. Knowing when to take control and when to give it away. Moving from passive blame shifting to active and confident participation. What is my vision as a leader? What core values drive me? Where am I headed with my leadership story? What is my role in the story of the organization? What is the adjustment I need to make to live a success story? Plan for applying what they had learned in a way that increases staff productivity and profits. Individual responsibility taken for action steps to realize this desired future. Before we run any of our workshops, we consult with the MD or HR manager of your company so we understand the specific need. We also send out an online survey (free of charge) to your managers that will help us to understand their frustrations and needs. There is also the option of staff interviews or site visits, should you require it. 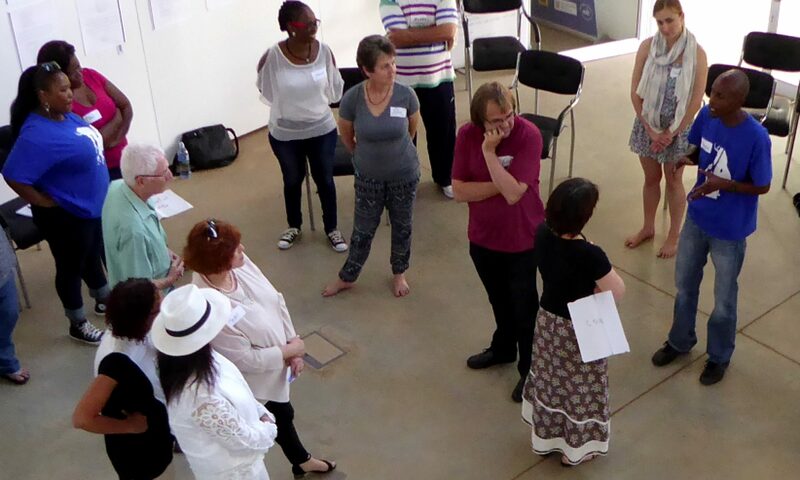 Three months after the workshop we will run a 90 minute feedback session (included in the price) to see how participants have been able to apply their learning and what obstacles they still experience. Also read more below on our unique methodology relating to the stickability of the learning and its immediate applicability. You will get a professional assessment and certification for every participant at a cost of R250 per person per unit standard. Please note: we are currently provisionally accredited.